I get really excited about the dumbest stuff, y’all. So imagine my delight when I was watching Sunday night football, generally just trying to tune out Al Michaels, when I saw the coolest little detail. 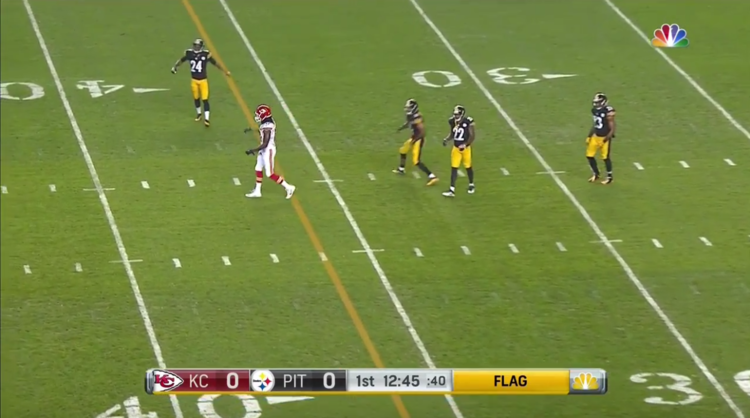 When a flag was thrown on the field, not only did the yellow box show up on the bottom of the screen, but the NBC Peacock turned yellow, too. So freaking cool. One of the reasons I found this so delightful was that it was so gratuitous. I didn’t need to to know that a flag had been thrown. Nobody’s job description at NBCSports includes the line “make peacock turn yellow when flag is thrown.” I never would have thought about it if I hadn’t seen it there. But yet, some designer, somewhere saw an opportunity to enhance the experience just a little bit for their viewers. It’s the details our clients remember, and it’s the execution that makes the experience. Of course, the big picture matters, and I wouldn’t have cared about that little yellow peacock if the video quality had been bad, or the audio was missing, or the referees had failed to show up. But we can’t just stop at the minimums if we want to truly make an impact on our clients and customers. Map out your client experience. Once you’ve covered all the major requirements, spend some time looking for opportunities to do a little extra. It doesn’t have to be time consuming or expensive (the yellow peacock was probably a 10 minute Photoshop fix) to make an impact, but it does have to be intentional. Use a welcome guide to anticipate your client’s questions before they even ask. Send a (very) little something to celebrate the halfway point or other milestones – I’m currently loving Greetabl for occasions like this. Customize your opt-in forms, buttons and emails with colors, typography and language that fits your brand. Use fun mailers or confetti inserts in your product packaging. Highlight your clients and customers in your social media posts. Upgrade the paper quality of your stationery, and order cute postage stamps from USPS. 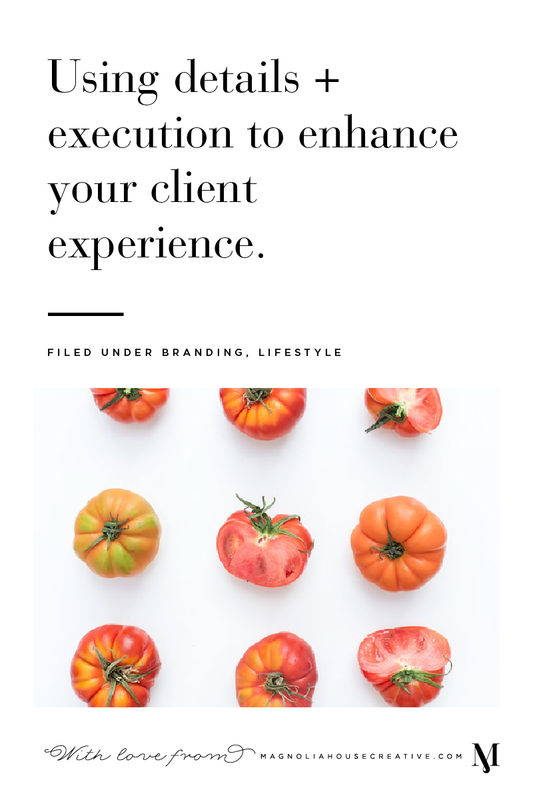 These are just the beginning – there are literally thousands of ways you can improve your client’s experience with a few minutes or a small investment. Tell me your best ideas in the comments! ← How to remove dates from your blog on Squarespace – and why you should.